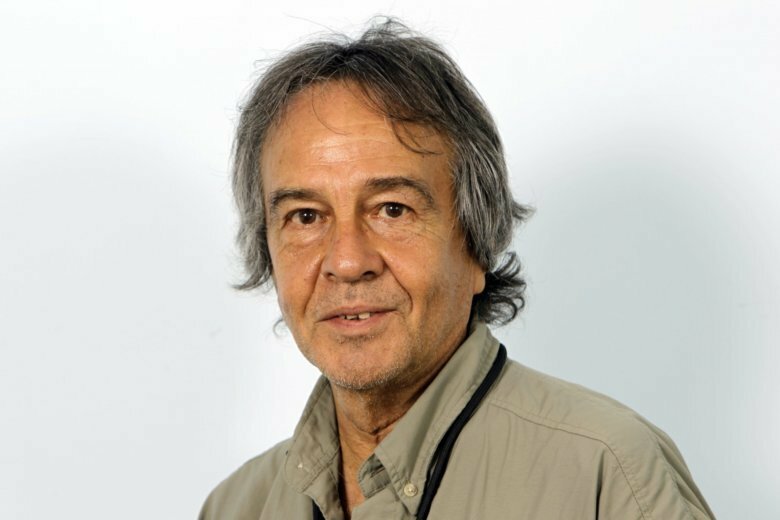 MIAMI (AP) — Retired Associated Press photojournalist Alan Diaz , whose photo of a terrified 6-year-old Cuban boy named Elian Gonzalez earned him the Pulitzer Prize, has died. He was 71. Diaz’s daughter, Aillette Rodriguez-Diaz, confirmed that he died Tuesday. The cause of death wasn’t immediately known. Diaz’s wife, Martha, died nearly two years ago. Diaz’s iconic image shows an armed U.S. immigration agent confronting the boy in the Little Havana home where he lived with relatives after being found floating off the Florida coast. “Alan Diaz captured, in his iconic photographs, some of the most important moments of our generation – the bitter, violent struggle over the fate of a small Cuban boy named Elian Gonzalez, the magnified eye of a Florida election official trying to make sense of hanging chads and disputed ballots in the 2000 presidential election,” AP executive editor Sally Buzbee said. Diaz, who was known to roar, “Hello, Miami,” every time he entered the AP’s South Florida office, brought the same energy and professionalism to every story, whether he was shooting an upcoming weekend feature or a World Series baseball game. His good-natured humility and unwavering focus were often calming elements for his colleagues in Florida’s frequently chaotic news environment. He introduced newcomers to some of the pleasures of Miami, such as sipping a cafecito in Little Havana. Not one to boast about past triumphs, Diaz rarely brought up the Elian story himself, but he would usually discuss it with enough encouragement. He had been freelancing for AP in November 1999 when a boater found the Cuban boy floating in an inner tube in the waters off Fort Lauderdale. Diaz spent the next few months chatting with Gonzalez’s relatives and neighbors, earning their trust by respecting an order from the boy’s uncle to not speak to the child. Because of those relationships, he was the only photographer to capture the moment when U.S. immigration agents ended a bitter international custody battle with a pre-dawn raid the day before Easter in 2000. The Pulitzer-winning photo shows an armed agent reaching out to toward a terrified Elian, seconds before the boy was pulled out of his uncle’s home so he could be returned to his father in Cuba. Diaz said he was just in the right place at the right time. After the image hit the wires and network television news, Diaz saw how both Cuban leader Fidel Castro and Cuban-American community leaders used it to argue that the other side was brutal and heartless. The AP hired Diaz as a staff photographer two months after the raid, kicking off a 17-year-career with the wire service. Within months of starting, Diaz was taking photos of hanging chads during the Florida recount for the 2000 presidential election. The next year, Diaz flew to New York just days after 9/11, when planes were allowed back in the sky, to help document the recovery. Diaz was in Florida for the 2004 and 2005 hurricane seasons, when storm after storm caused billions in damage across the Southeastern U.S. More recently, he rushed to Orlando in 2016 to cover another tragedy, a shooting at a gay night club that left 49 people dead. After winning the Pulitzer Prize in 2001, he was awed by the celebration from his heroes in photojournalism. “Joe Rosenthal wanted to meet me? Wow,” Diaz said, still shaking his head at being honored by the AP photojournalist who produced the iconic image of U.S. Marines and a Navy sailor raising the American flag over Iwo Jima. Diaz was born in New York to Cuban parents. He spent his adolescence in Cuba, where he studied photography with Alberto Korda, whose 1960 portrait of Marxist revolutionary Che Guevara became one of the most reproduced images in history. In 1978, he moved to Miami and began shooting in Little Havana for Cuban-American organizations and publications. One memorable assignment was a meeting of leaders of anti-Castro efforts and Frank Sturgis, one of the Watergate burglars, who had fought alongside Castro in Cuba before turning against him. Associated Press writer Jennifer Kay contributed to this story. This story has been corrected to show that U.S. immigration agents seized Elian Gonzalez on the eve of Easter 2000, not Good Friday.